« FIRST POSITION ON TRIPADVISOR! Tour Dubrovnik, Croatia where the Game of Thrones is filmed. One of the most amazing shows on television right now is HBO’s Game of Thrones. This mystical show is an adaptation of a series of fantasy novels by George R.R. Martin. It is filmed in many locations including Dubrovnik, Croatia where you can join exclusive Game of Thrones tours to see where this epic show is filmed. Set on the fictional continents of Westeros and Essos, Game of Thrones has several plot lines and a large cast. For those who follow the show and are fans, having the chance to tour some of the popular places where the show is filmed is a once in a lifetime opportunity. The show is filmed in many locations in Europe, including many scenes that occurred in Dubrovnik and around Croatia. Game of Thrones is a massive production when filming takes place. Its scenery can be considered a main character in the storyline, and Croatia is proud to have many scenes filmed here. When you come to Dubrovnik, you will recognize many of the show’s settings instantly. Many episodes were filmed here including King’s Landing, a fictional city and one of Game of Thrones main city settings. For those who have seen the series and are passionate about it, a visit to Dubrovnik will become instant déjà vu because of the way it was so well integrated into the setting of the series. King’s Landing is the home of the Lannister Family, one of the show’s main family’s at war. 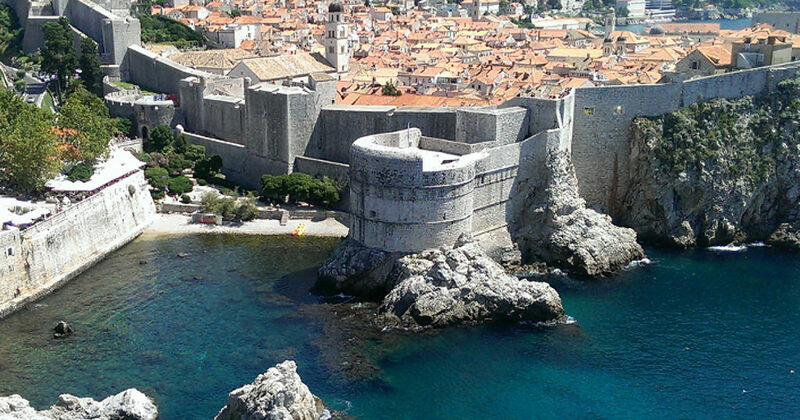 With its main area of Old Town of Dubrovnik used for the filming of the show, there were not a lot of special effects used in order for this town to play the fortified port city of King’s Landing. Filming in Old Town exploits the large outer walls, which were built by human hands over time, as well as the narrow streets of the old town where several scenes happened during the course of the series. The Old Town of Dubrovnik was founded in the 7th Century by refugees from Roman colony Epidaurum and is a world heritage site due to its historical significance. As soon as you cross over the drawbridge and walk through the Pile Gate you will find yourself entering an ancient city that is full of amazing architecture and surrounded by the Mediterranean on one side and amazing walls on the other. It is truly a dazzling place and many areas of this ancient city were featured on Game of Thrones. Dubrovnik Croatia is a magical city that deserves to be known. We offer several different tour packages as well as a customize your own Game of Thrones tour. Our clients love our tour packages! Check out reviews! If you’re planning a vacation, make it all about the Game of Thrones! When you visit Dubrovnik and book a Game of Thrones tour with us, you will experience the amazing settings and the wondrous city used to create this epic television series. See what awaits you when you tour the Game of Thrones! Tom was great!! Very fun for any Game of Thrones fans. Tom also taught us a great deal about the real history of Dubrovnik and of Croatia.